ca. 500 - 475 B.C. 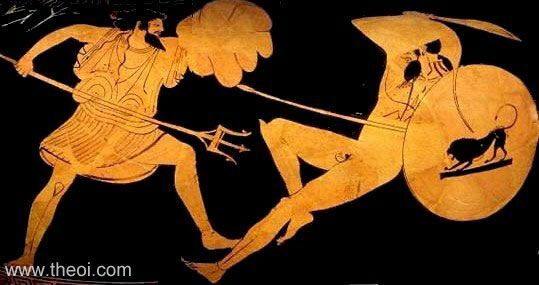 Poseidon battles the giant Polybotes. 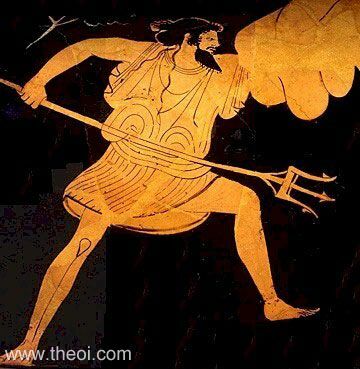 The god wields a trident in one hand and the rock of Nisyros in the other. The fallen giant is equipped with a spear, shield decorated with the image of a lion and a helm.